First Boston Horror Show Hosts Spring, DYS~ &..
Trailer Debut for the Feature-Length Doc on t.. Bonus Features for The Battery DVD, Blu-ray R..
Here’s Your Chance to See Dave Parker&#.. 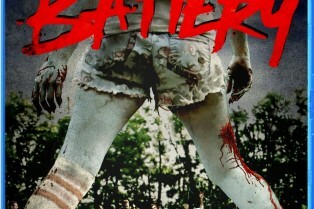 The Battery is Getting a DVD/Blu-ray Release! ?During the Fantasia Film Festival, I caught a micro (and I mean micro) budget zombie film called The Battery from director Jeremy Gardner. I reviewed the film here and saw others catching on to this little film about two friends wandering the East Coast and surviving the zombie apocalypse. It made sundry “best of 2013” lists. Discovery is a beautiful thing – especially in the world of horror – and at the Fantasia Film Festival, we happened upon The Battery from writer-director Jeremy Gardner. And it’s a film we cannot endorse enough. A micro-budget (and we mean micro) drama, the film follows two baseball players – Ben and Mickey – as they traverse the New England landscape in the wake of a zombie apocalypse. 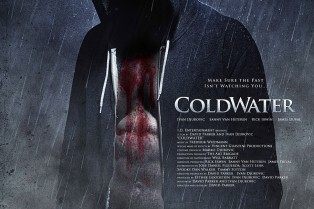 Gardner pulls multiple duties on the film as he stars in the tale alongside actor-producer Adam Cronheim. ShockTillYouDrop.com spoke with the duo about the creation of their indie effort. Check out our discussion inside. The Battery is now available on VOD; if you’re in Los Angeles, you can see the film on the big screen tonight at Cinefamily. Zombie movies. They’re here to stay. They’ve never really, truly gone away. And at this point, whenever a new entry in an undead cinematic cycle comes along, all you can hope is that a filmmaker is bringing something new to the party. Enter writer-director-actor Jeremy Gardner with The Battery, a film that played to Fantasia Film Festival audiences, but is widely available for you to rent or purchase if you venture to iTunes. And I highly recommend you choose one of those two options. 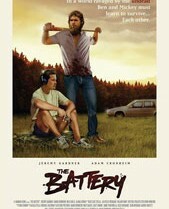 The Battery is a buddy movie first, a road trip movie second and a zombie film last. It’s clever, honest and thoroughly engaging. While the scenario Gardner – along with producer/co-star Adam Cronheim – presents isn’t anything new, it’s the characters that help this micro-budget gem transcend the usual zombie fodder.